There seems to be a lot of #Xiaomi Mi 5 (#Mi5) smartphone owners who reported that their phones just turned off and won’t turn back on and this is what we’re going to tackle in this post. I will help you or walk you through in finding signs to know if your device is still capable of turning on and booting up successfully. Mi 5 seems to have garnered really good reviews considering can beat any flagship phones available in the market today performance- and specs-wise for half a price. It is the cheapest smartphone today that packs the all new Snapdragon 820 chipset, a 16MP camera, 3000 mAH battery and a 5.15-inch display. In other words, it’s fast, snaps really good photos, lasts longer and has a big screen. But is it really worth buying it? It’s actually very easy to determine whether the cause of the problem is physical damage because a blow or an impact that leaves the phone unresponsive would often leave some scratches or dents on the outside. In worst case, the screen would crack or break as it’s the most fragile component of all. Therefore, the first thing you should do is physically inspect your phone for those things. When it comes to water damage, it’s a bit complicated to determine whether it’s the cause why your Mi 5 turned off and won’t turn back on. But if you were the only one that used the phone, then you know if it got dipped or fell in water and if there was one instance that the device actually got in contact with liquid, water damage is probable. You know, water damage is very unpredictable. I’ve seen cases wherein the device got in contact with water but continued to function normally and after a week or two, it started to act crazy. When a drop of water is trapped within the phone, it can’t escape. The heat may vaporize it but still it can’t escape and may condense back to being liquid once the device cools down. So, if at some point the phone got in contact with water, take the safe route and don’t, DON’T charge your Mi 5 and never attempt to turn it on again. Instead, send it in for further checkup or repair. Please note that physical and water damages aren’t covered by warranty so you won’t get a replacement unit and you must pay for the services of the technician. If you’re 100% sure your Mi 5 didn’t suffer from water damage, then you can do this step because it’s possible the battery just got drained and needs to be replenished. If the phone charges fine when plugged in, then you’re in luck because this might be the only thing you need to do to bring the handset back to life. Plug the charger to another power source or electric outlet. It’s possible the one you’re currently using is damaged. Connect the device to your computer to find out if it charges or gets detected. Use a different power adapter or charger. If your phone still won’t respond after all this, then it’s more likely your device got bricked. There’s nothing you can do at this point so you need to send your phone in for repair as it got bricked and we really don’t know the extent of the problem. Your phone may be replaced or a technician may take a look at it or do some tests to determine whether it can be repaired or not. The thing is it might take weeks before you can get an update about the status of your device and whether or not you can receive a new one. That’s the reality so patience is necessary. I know a Mi 5 owner who haven’t received updates after sending the device in for 3 weeks. Imagine how frustrating would that be if your brand new device got bricked a few days after you purchased it. Basically, all you have to do when your Mi 5 won’t turn on after it turned off on its own is to find signs that suggest it can still power back up like plugging it to charge for a few minutes. Should the phone refuses to charge, then it probably got bricked and you need to send it in for repair. recovery mode displayed on screen and after selecting re-boot, its not booting in recovery mode.. Thank you so much Oris for your suggestion.. I’ve tried it and it works! Very good post. I tried 3-boot in recovery mode and problema solved!. Thanks. so what xiaomi custumer service claim is that the problem may be caused by the MIUI. never tried it. its only their advice, so id love to know if it works/not. 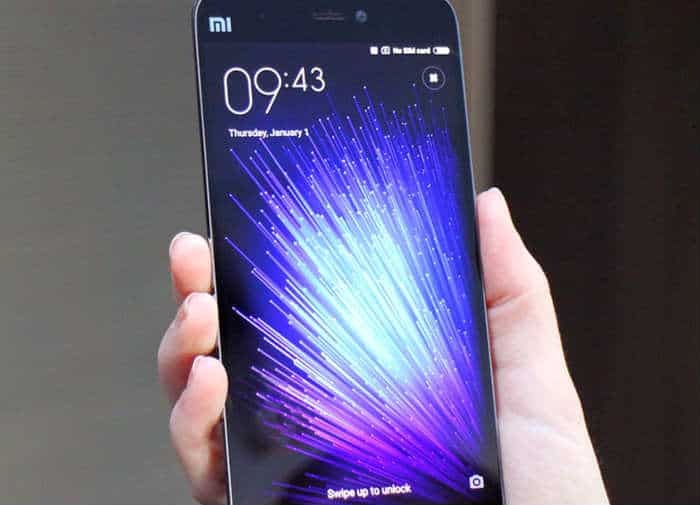 I have a Mi5 64GB and Restart the phone so after restart, there is no signal no power no indication no charging possible no recovery no fastboot response.